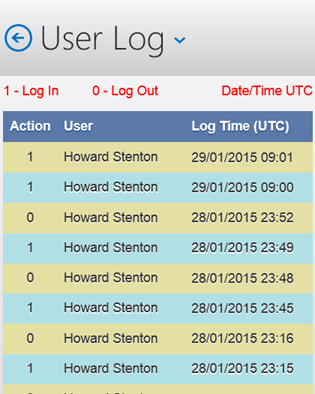 The Users log records the date, time and login status of users. Aged data in excess of 12 months can be deleted by tapping the Delete icon on the bottom toolbar. If when reading the log, no logout is recorded, this is most likely due to the program timing out and the user had not logged out. Easy PMS ......it's so easy. Planned Maintenance is profitable too!